This is the ultimate experience for the cat lover in your family. The room is available for two adults (no children nor pets). 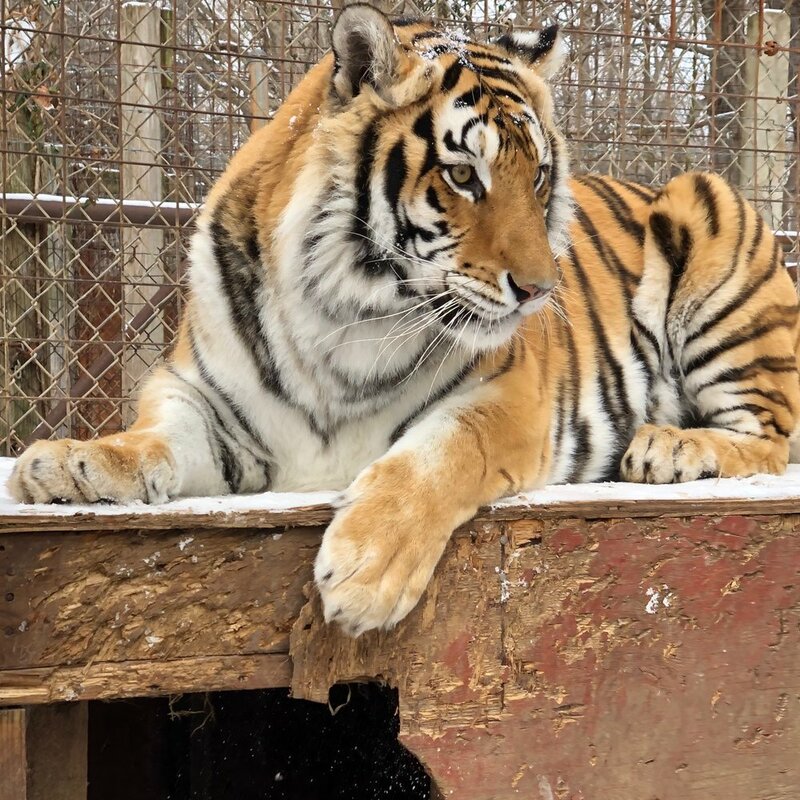 You will get to tour the main area as often as you like during regular hours, and the next morning you will get to go behind the scenes with the keepers to see the cats in our non-public area. Your room includes: a private entrance and bath, queen size bed, microwave, refrigerator, coffee pot with coffee and tea provided, satellite TV and wifi. There are cats you can watch from the window or picnic table in the front yard. Advance reservations are required. Reservations made after January 1, 2019 are $225 per night with a non-refundable deposit of $75 when booking. Call (812) 835-1130 to reserve your room.